Mary Louise Kelly is an American broadcaster and author. She is currently a guest host for National Public radio’s news and talk programs including Morning Edition. Until 2011 Kelly was National Public Radio’s senior Pentagon correspondent, reporting on defense and foreign policy issues. She also reported on the Office of the Director of national Intelligence and other spy agencies. 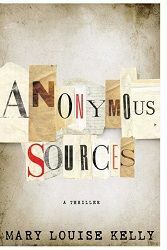 Her first novel, Anonymous Sources is to be published by Simon & Schuster in 2013. 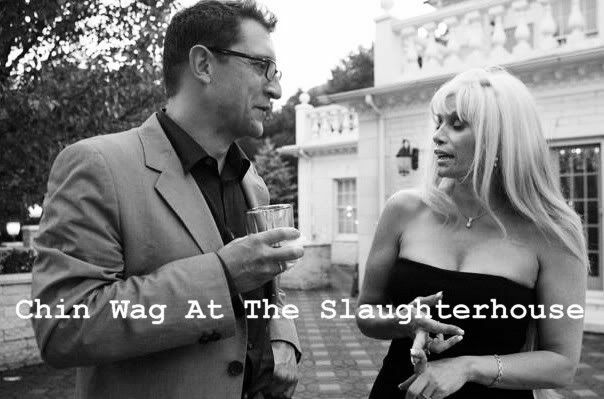 Mary Louise met me at The Slaughterhouse where we talked about terrorism and Ecehelon. Tell us about Anonymous Sources. 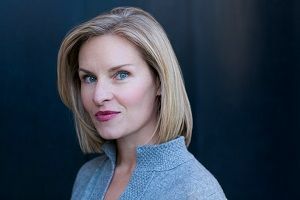 Anonymous Sources is the story of a very clever, moderately pretty, unrepentantly snarky reporter named Alexandra James. She is sent to investigate what happened to the unfortunate Thom Carlyle, who has plunged to his death from the top of a bell tower in Harvard Square. Alex figures out pretty fast that he was pushed. The challenge is figuring out why. Alex gets up to quite a lot of mischief chasing clues from Cambridge, Massachusetts to Cambridge, England and then on to London and Washington. But after her phone is tapped… her laptop disappears… and an assassin dispatched to kill her only narrowly misses, Alex realizes that she has stumbled onto a very, very big story indeed. That all went out the window after 9/11. I was working at NPR by then, and I think we mentioned “terrorism” or “terrorists” on air approximately every three seconds. When I started covering the spy beat for NPR in 2003, I actually looked up the formal definition of terrorism and tacked it on a post-it note above my desk. That definition — that terrorism is “a war crime committed in peace time, the random killing of civilians for political ends” — still holds, kind of. But how do you define “peace time” in an era where the U.S. has declared a global, seemingly never-ending war on terror? And how do you categorize an event like the 2009 mass shooting at Fort Hood? An act of terrorism, or an act of insanity? (Not that the two are mutually exclusive.) And then what about cyber-terrorism, in which havoc may be wreaked but no one actually dies? In Anonymous Sources, the bad guys are unequivocally terrorists, nothing freedom fighter about ’em. That’s the nice thing about fiction. You can make it more black-and-white than real life. As a correspondent how do you balance the public demand for drama with facts, and how does this translate into your fictions? I’ve never thought of it in those terms. The news business is driven by facts, and you have to double-source them and get them right. But reporters make decisions every day about WHICH stories to tell, and how to tell them in a compelling way. At NPR, producers talk about “eat your broccoli” stories — the worthy but dull ones. Think of the dutiful, daily news pieces detailing dry Senate hearings, or White House press briefings. If you listen, though, the best correspondents and hosts make even these come alive. They zoom in on one great piece of tape or one interesting person on the sidelines of an event, and they run with it. The trick in radio is to keep people listening all the way to the end of your piece. You have to hook them with your lede and then keep them in suspense. If you’re lucky, you achieve what we call a “driveway moment”: when an NPR listener is so engrossed that they stay in their car to keep listening, even after they’ve arrived home. (I always felt I had a slight edge covering the spy beat, compared with my colleagues stuck reporting on, say, agriculture subsidies or E.U. debt reduction.) I don’t know what the term is for the thriller-writing equivalent of a driveway moment. But years of practice at trying to keep the audience in suspense has come in very, very handy in writing fiction! When dealing with coverage based on an anonymous leak, how do you know the extent of whether the leak is on or off message? Well, the key thing is that the leaker is not anonymous to me. When I agree to grant a source anonymity in a story (say, because they are risking their job to talk to me), I still know who they are and have a relationship with them. Covering the intelligence beat, you learn that just because something is classified does not mean it is true, and just because someone has top-secret security clearance does not necessarily mean they know what they’re talking about. One of the questions I’ve learned to ask, when someone tells me something interesting is, “How do you know that?” The answer is often telling. Once during an interview I asked an Army officer how he knew something, and he confessed, “Actually, I heard it on NPR.” I yelled back: “But that was me talking!” You see how reporters and their sources can potentially get into vicious cycles of bad information! What do you think the role of Echelon in maintaining world peace is, and what are the dangers of a false positive in apprehending a perceived threat? I haven’t done a lot of first-hand reporting on Echelon, so I’ll refrain from weighing in. (Echelon, for those who may not know, being the signals intelligence network shared by the US, UK, Australia, New Zealand and Canada.) I will say that the NSA – the American sigint agency – is one of the toughest nuts for reporters to crack. By comparison, the CIA is downright open and forthcoming. In my years covering the intelligence beat, I only got to visit NSA headquarters at Fort Meade three or four times. There is a joke that being a spokesperson at NSA is the best gig in town, because they never say anything, ever. (Really. They won’t even give you a “no comment” when you call — they are trained to respond, “I can neither confirm not deny.”) With a few notable exceptions – such as James Bamford and Siobhan Gorman — very few journalists succeed at penetrating the NSA bureaucracy. Bamford, who has written some seminal works on intelligence, points out that the NSA tried to sue him in 1982 after he wrote The Puzzle Palace. In 2001 he published Body of Secrets and the book party was thrown at Fort Meade. The change of attitude was partly due to the new Director, Michael V. Hayden. How do you view Hayden’s policies and how do they reflect a change of outlook in the US? But I don’t know that his policies reflect a change of outlook. The access that reporters are granted always depends both on the individual in charge, and on the political climate. There’s an inherent tension between the government’s desire to keep secrets and the media’s desire to ferret them out. You can probably guess which side I come down on. If you look at the major national security stories that journalists have broken over the last decade — the CIA’s network of secret prisons, for example, or the NSA’s domestic surveillance activities — I would argue the public interest has been better served by having them come to light. Do you think that cyber war is as real a threat as terrorism, and to what extent does intelligence depend on the services of hackers and how does that blur the line between law and order? The cyber threat is terrifying. And don’t just take my word for it, take it from the Director of National Intelligence. This spring when DNI Jim Clapper delivered his annual assessment of the top security threats facing the U.S., he ranked the number one threat as a devastating cyberattack. Terrorism has dropped a notch or two on the official list. Accordingly, the U.S. is believed to be spending billions on offensive cyber weapons. There have been successes: just ask the Iranian nuclear scientists at Natanz whose centrifuges suddenly started spinning out of control. But with new technology comes new legal and ethical questions, including the ramifications of a U.S. attack on the infrastructure of a country with which we are not at war. And of course, there’s the fear that comes with any new weapon in the arsenal: that it may one day be turned back on the U.S. The consensus view in Washington right now appears to be that all of the options for handling the Iranian nuclear problem are lousy… and that cyber weapons, while controversial, at least have a shot at slowing Iran’s drive for a bomb. How important and how dangerous is information in Anonymous Sources? That pretty much sums up my approach to investigative reporting. Of course, I enjoy an advantage over Alex, which is that my sources have never tried to kill me as I went about my reporting. At least, not to my knowledge! What advice would you give yourself as a young woman? Meanwhile, I’m writing a second book — this next one is more of a psychological suspense thriller, although I can’t promise that spies won’t show up. And in September I’m moving to Italy for a year. Our family spent four months there in 2011, and we have the opportunity to go back for a school year. My plan is to write full-time while we’re there, but the relentless Italian sunshine makes it tough. For writing productivity purposes, it would be better if we were heading to Scandinavia. Thank you Mary Louise for an informative and great interview. Reporting on all those alphabet agencies in this new security world in which we live has to be one of the most nerve wracking jobs in the world when you consider all the places the reporter could simply vanish without the proverbial trace if you uncovered something really, really covert.. So major kudos for courage to Mary Louise. The first time the “one man’s terrorist . . .” thought was brought home to me in Leon Uris’ novel of the IRA vs The Brits: Trinity. At the end of that book I just sat there, silent, for about twenty minutes mourning for both sides of that conflict. I ws an avid reader of Phillip Atlee’s joe Gall series of thrillers because they seemed to me to be more authentic that the Bond books or Hamilton’s Matt Helm series (except for Hamilton’s Death Of A Citizen which I think is one of the most definitive spy novels written). When I learned that Phillip Atlee was the pen name of Atlee Phillips, who was a former director of the cold way CIA, I knew why that series had appealed to me. The Bamford affair makes me hopeful that the same kind of authenticy will return to spy fiction once more. I totally agree with the advice to a youn’un — except for marrying the man who introduced me to single malt (he had whiskers and smelled of Red Man chewing tobacco). Thanks to both of you for another winner of an interview. Thanks Richard and Mary Louise for an interesting interview. Anonymous Sources sounds like a winner to me. I can’t wait. Who are some of Mary Louise’s favorite espionage writers? Jim — Thanks for the question! I always look forward to a new David Ignatius espionage thriller. The former head of MI5, Stella Rimington, writes fun spy novels that should be more widely read in the U.S. Last summer, I enjoyed The Expats by Chris Pavone — looking forward to what he comes up with next. And I always go back to John LeCarre. Very engrossing interview, Richard and Mary Louise… most thought-provoking. Anonymous Sources is definitely going on my already over-flowing book shelves. Love your advice to young women, Mary Louise. While I have on occasion enjoyed a good single malt – is there any other way to drink whisky? – I am a heart a vodka girl… good Russian vodka! It was in college that my second lover, Tara, introduced me to (among other things) the pure pleasure of driving a stick… she had a 69 Spider. I may have loved that car almost as much as I loved her… lol! Congratulations, on Anonymous Sources – looking forward to reading it – and I wish you continued success in all you endeavour, Mary Louise. Richard… thank you! Another stellar interview! Veronica — My protagonist, Alexandra James, is a gin girl. Ideally, Hendricks and tonic, in large quantities. Hope you still enjoy her! Happy reading!